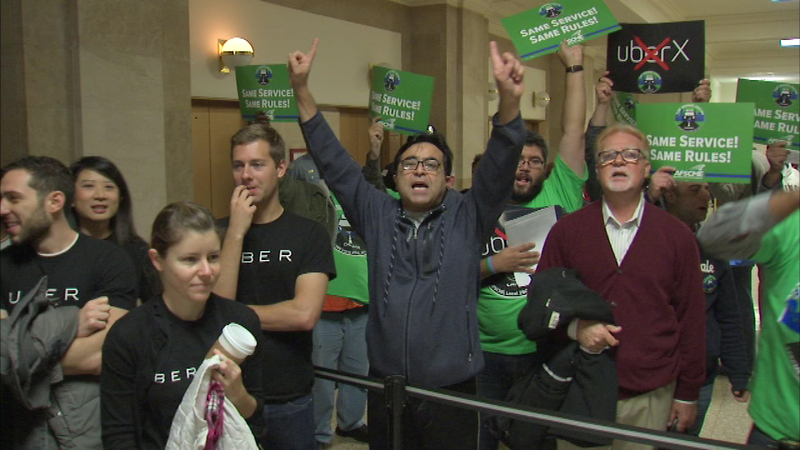 CHICAGO (WLS) -- A battle between Uber and cab drivers got heated Monday at Chicago's city hall. They got into a shouting match...right before a City Council meeting on whether to allow ride-sharing services to pick up passengers at Chicago's airports. Afterwards, Ald. Emma Mitts declared support for letting Uber, Lyft and similar services work the airports with the mostly part-time drivers.